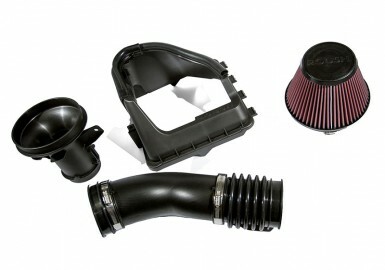 ROUSH®'s Ford F150 Cold Air Intake can take your trucks power up a notch while increase your truck fuel economy. 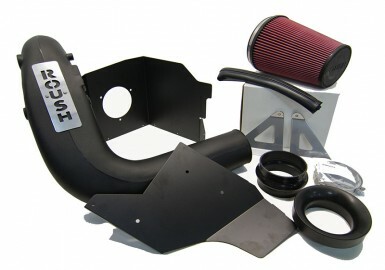 The kit is designed for the 2004-2006 3V 4.6L V8 F-150 and features the ROUSH® air filter, air dam, and induction tube. Cold air induction can unleash the latent potential in power and fuel efficiency that is normally restrained by your standard air intake unit. How the ROUSH Ford F150 Cold Air System works: Air first comes into the Air Dam, which keeps out hot air from the engine compartment. The result is that the air entering the filter is cooler and dense, providing for a more potent air charge. The ROUSH air filter media is a synthetic nano-fiber material that catches the smallest dirt particles that ordinary cotton-gauze "performance" filters can’t capture. Based on SAE standards, ROUSH air filters capture almost double the percentage of 2 micron particulates, and more than six times the amount of 0.5 micron particulates than our competitors’ filters. Furthermore, ROUSH air filters are made with the finest materials available today, featuring a hand-poured urethane body that won’t crack, curl or shrink like other rubber or plastisol units used by our competitors. 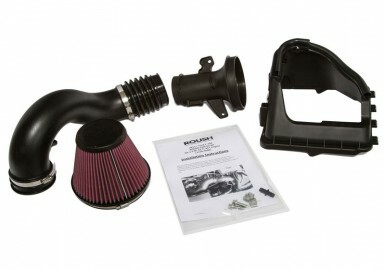 ROUSH air filtration performance is second to none. 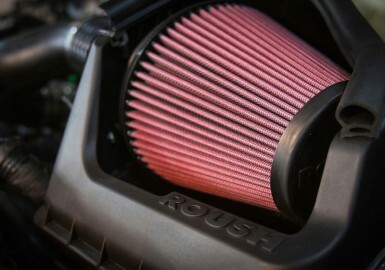 This ROUSH air filter is 100% washable, reusable and features a lifetime warranty. The ROUSH Cool Air Dam surrounds the filter, helping to keep out hot air from the engine, further maximizing performance. This Ford F 150 Cold Air includes all the necessary hardware, making it quick and easy to install. Note: This CAI product has been submitted for EO certification, but is not yet 50 state legal.